First things first- Trust! You have to find a Realtor who is going to really listen to your needs and who YOU feel comfortable with. When interviewing Realtors pay attention to what and how they are communicating with you. Is this transaction about YOUR needs and wants, or is it about a commission check for them? Of course we work to pay our bills just like you do, but YOUR needs come first. You should have no doubt that your Realtor is working in YOUR best interest, not her own. At our first meeting, we will sit down and discuss YOUR needs and wants, and I will briefly explain the buying process and my fiduciary duty to you. A further discussion about Step 1, can be found here. Can you afford to buy a home right now? And if so, how much home can you afford? How much home is in your financial comfort zone. You see, you might be able to afford a home, but maybe not in the neighborhoods you really want (I can tell you about some financial options if that is the case). Or financing a home is not the issue, but how big a mortgage do you really want? If you enjoy spending money on something other than a mortgage, I completely understand and won’t push you to buy more home than you are comfortable with. All of these questions need to be taken into consideration in order for you to be happy with your home. I don’t want you to happy with your home for the first month you live there, I want you to be happy for as long as you live there! Over the years I have worked with a number of lenders I can introduce you to, each one tends to specialize in a particular type or style of loan, that way, you can tailor your financing to help you meet YOUR individual needs and find a loan you can actually live with. 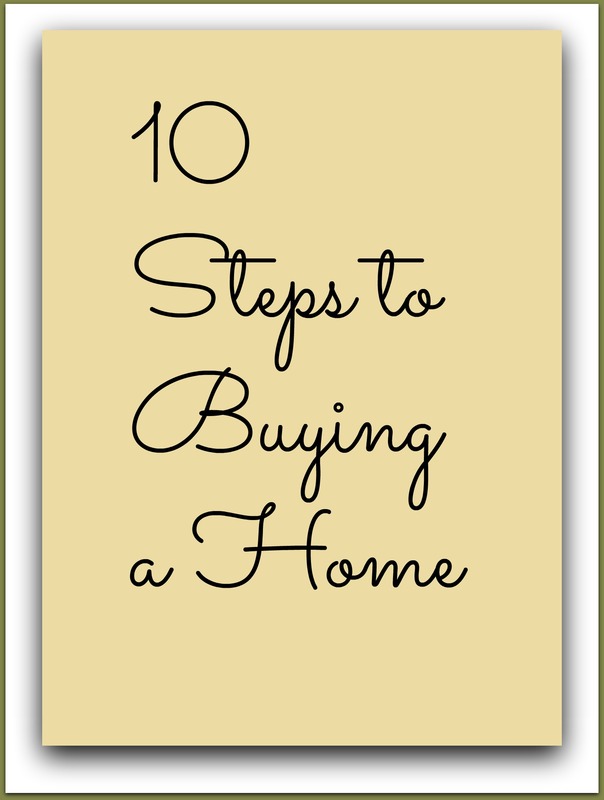 For more details about financing a home, check out the blog post, here. This is important. You buy a home, but your neighbors come with it. Don’t let other people tell you where to live- including a Realtor. Do your own due diligence when searching out neighborhoods. Here’s my tip- find out when the middle school lets out and park near a bus stop and listen and watch the middle school kids as they walk home. You will learn a lot about the neighborhood by observing middle schoolers- think about it. That age has no filter on their mouths. Stop by the neighborhood on a Saturday and talk to the neighbors- don’t be shy- neighbors are a wealth of information not only about what is happening in the neighborhood, but about any home you happen to be interested in. Utilize this excellent source of first-hand knowledge as most neighbors love to talk and welcome in potential new neighbors. Find more detailed information about finding neighborhoods, here. This is where the planning and research you’ve done in the first 3 steps pays off. Now we get in my comfy car and head out to explore the homes and indulge in some dreaming. I will set you up in the MLS so only the homes that meet your needs get sent directly to your inbox. We can discuss the pros and cons of each home. I will look for potential flaws- not to scare you away, but to make you aware of issues you might have to address down the road. Nearly every flaw that is found either by me, by you, or by an inspector, has a solution but the question is always- are you comfortable with it? So we will look at floor plans and how they might be a good fit for your lifestyle, but we will also try to find out if there is water in the basement or duct work, if the windows need replaced and are there HOA rules and regs that restrict the type of window replacement? Stuff like that comes up in almost every home. Remember, I’m the trail guide. I’m here to help you find solutions. This step is discussed in more detail, here. Not nearly as stressful as it may seem, I will give you stats on homes in the area, as much of the history of the home as we can find, and anything else that might help you determine not only what the seller might accept, but what you will be comfortable with, because sometimes those are two separate things, and if we can get to a meeting of the minds, then we have an accepted contract.  The contract itself is one used by the Dayton Area Board of Realtors, approved by their cadre of legal experts, and used by agents in the general area. In brief, it describes the home, the offer you are making, and the timeline to be expected. This is a legally binding contract so it’s important that you understand it. We will take some time with this step because I will go over it with you clause-by-clause, discussing the ramifications of each item in the contract and answering your questions and concerns. Stay calm. Most offers are not accepted without some negotiating between buyer and seller so we enter into a negotiation period where any number of things might need to be tweaked in order to make all parties happy. The typically negotiated items are price, seller-paid closing costs, and a closing date, but don’t be surprised if things like appliances, occupancy dates, and earnest money get changed. Everything is negotiable, so don’t panic, stay calm, and trust your Realtor (see Step 1!). A lot happens behind the scenes during this time frame- typically about 2 weeks total. This is the time when you are contractually able to make any inspections you want to have made. Usually buyers start with whole house and wood destroying insect inspections and see where that leads them. We also need to get title work started and the lender begins working on getting the loan approved, appraisals ordered. Don’t panic, you have hired professionals, we do this work for a living so your Realtor will make contact with your lender and the title company you’ve chosen and we will get to work coordinating all those items. Your job at this point is to hire the inspector ( I can give you a list of the best in the area), go to the inspection to learn more about your home, cooperate with your lender to provide any additional documentation they might need as they work through the underwriting process, and to secure home owners insurance. Depending on what the purchase contract says, once you get the results of the home inspections, if there are any habitability issues that were discovered, you can decide whether you will ask the seller to make repairs. Like Step 5 when you made the offer, the repair period is usually done with some negotiating involved. If an agreement cannot be reached, again, depending on what your contract says, you have an option to terminate the contract. At this point, you’ve likely spent money on inspections and other fees so it’s not a small thing to walk away from the contract. One of the reasons I look for flaws when we initially see the home is that while I am certainly not an inspector, there can be potential problems that you might want to know about before you make an offer. This is also the time any title issues would be discovered. At this point, all contract contingencies have been removed and the underwriter has okayed the loan, we have a clean title, and we are clear to close. You would schedule utilities to be transferred into your name, we schedule a 24 walk-through inspection to check that the home is in the condition it was when you wrote the offer, and we schedule the closing. In Dayton, we still hold “round table” closings where all the parties still down at the same time and sign documents to transfer title, the final step to home ownership. By systematically and carefully working through the previous steps, we’ve successfully navigated the process and you are now ready to create memories in your new home. Congratulations- you did it!